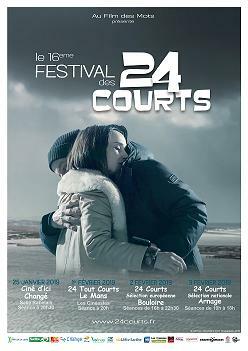 Art 1 – “24 Tout Court” is organized by the association Au Film des Mots. The Festival des 24 courts will take place from February 1st to February 3rd, 2013. Art 2 – Films of 5 minutes or less are eligible. 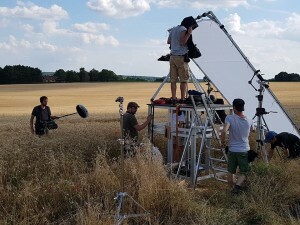 Industrial or commercial films are not accepted. Art 3 – Any type of film are eligible (fiction, video clip, documentaries, animation…) but you have to send your movie on a DVD. Art 4 – You can register several films for the festival. Art 5- If your film contain dialogues, you need to have subtitles in French. 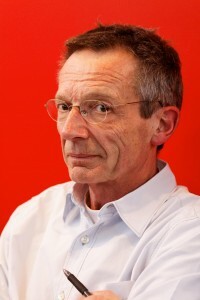 Art 6 –Deadline for reception of the preview: August, 31st, 2012. – A prize for the best young auteur (less that 25 years old). Art 9- The list of the selected films will be available on the Festival’s website in January, 2012. Art 10– By submitting a film, all participants give Au film des Mots the authorization to publish in the Festival program, on the website, in the media, photos or short extract of the film.